Reckoned for its water activities, Andaman is abounded with islands that are enclosed by the coastal waters. The Underwater driving and exploring marine life activity is popular amongst the tourists of Andaman. One of the specialties of Andaman is that the underwater formations and coral reefs are untouched by the human activity. 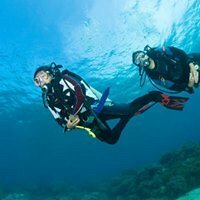 If you are traveling to Andaman for Scuba Underwater diving, then you should definitely go for some of the best spots like lighthouse point, and other diving sites with ample of big fish action. Moreover, you can visit the north island that is an amazing diving site with coral mounds and hard corals.